Curiosity Rover ‘Sniffs’ Martian Air for Signs of Methane –Will It Prove to Have a Biological Source? "The loss of Mars' atmosphere has been an ongoing mystery," Doug McCuistion, director of the Mars Exploration Program at NASA Headquarters in Washington, said. One theory is that Mars lost its magnetic field, without which it was defenseless against the brutal onslaught of solar radiation which stripped anything not nailed down (like air) off the planet. 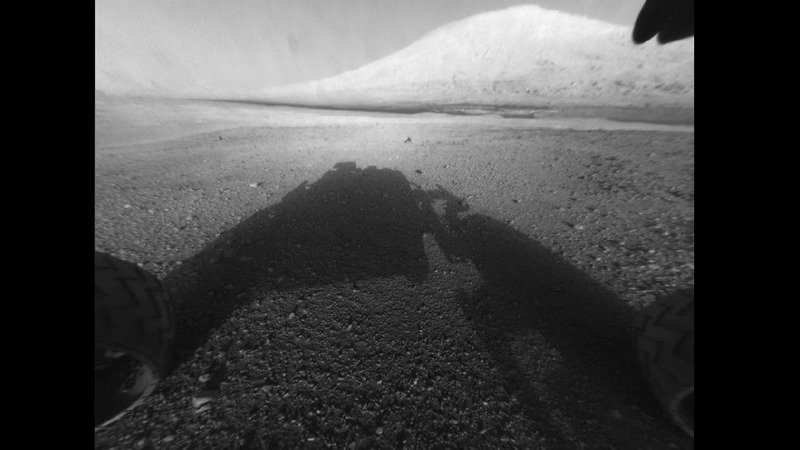 Now, Nasa's Curiosity rover has measured the Red Planet's atmospheric composition by sucking the air into its big "Sample Analysis at Mars" (Sam) instrument to reveal the concentration of different gases.The Sam analysis is ongoing but NASA says carbon dioxide will dominate as it has in the past by the Viking probes in the 1970s and the Phoenix lander in 2008. Of paramount interest will be whether a signal for methane, which has recently been observed by satellite and by Earth telescopes, has been detected by Curiosity. Methane has a short-life span and its persistence suggests a replenishing source of some kind – either biological or geochemical. It is hoped SAM can shed light on the issue. The results from this first test could be announced next week, said Curiosity deputy principal scientist Joy Crisp, but she cautioned that it would be some time before definitive statements could be made about the status of methane on Mars. "When Sam is at its best it can measure various parts per trillion of methane, and the expected amounts based on measurements taken from orbit around Mars and from Earth telescopes should be in the 10 to a few 10s of parts per billion," she told reporters. "But it's so early in the use of Sam, which is a complicated instrument, and we have to sort through the data." Planetary scientists have long been puzzling over what could be producing methane gas detected in Mars thin atmosphere. Methane molecules are easily blown apart by ultraviolet light from the Sun, so any methane around must have been released recently. The presence of methane has triggered a hot debate in the Mars science community: is it a sign of microbial life or geology? Perhaps the Curiosity Mission will give us the answer.